Arash’s practice focuses on civil litigation, bankruptcy, employment, and corporate and commercial law. He also has experience with a variety of administrative boards and tribunals. Bankruptcy and Insolvency are key practice areas at Rogerson Law and we are highly experienced in dealing with matters involving assets abroad. With an engineering and business administration background, Arash brings a unique perspective to many of his clients’ legal problems. With an emphasis on providing a fast but professional service, Arash is well placed to offer his clients a prompt, efficient and high-level solution to their legal issues. Arash is fluent in Persian, with a working knowledge of Japanese. He works from the Toronto office of Rogerson Law Group. Arash’s professional history includes working for companies ranging from small businesses to large multinationals. Notably, he has worked at the Canadian corporate head office of Mitsui & Co Ltd, McDonald Dettwiler and Associates Ltd (MDA), and Sun Microsystems of Canada (subsequently acquired by Oracle). 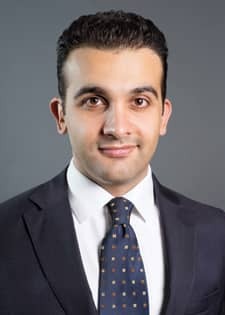 Arash is an engineering undergraduate, and later graduated from the joint JD/MBA program at Osgoode Hall Law School and the Schulich School of Business. During his studies, he gained international legal experience through an International Business Law exchange at the Bucerius Law School in Hamburg Germany. Arash has travelled extensively – from Japan to the Middle East; to Europe and North America. His travels have earned him a broad perspective on life and practice, along with reading widely, and his deep interest in and understanding of history, current events and world events. I’m writing an article on Mr. Arash Jazayeri’s legal service he provided me with regarding the Hague motion I launched in November 2016 out of my deep appreciation. The reason it took me this many month to write this article is most because of the lack of understanding regarding the impact of the Hague motion and its legal benefit we enjoy from its good outcome. This past year, I witnessed the benefit and impact ofthe Hague motion that I launched in response to a case of a child abduction where one parent unilaterally takes away the child from the other parent or families and community without considering the impact of his/her action on the child’s emotional development and the impact on the left-behind parent. During the most difficult time in my life, Mr. Arash Jazayeri and one another staff from the Los Angeles Attorney’s Office were the two most helpful individuals.I will never forget their kindness and the level of commitment to their service. These two professionals need to be recognized especially as the other lawyers in the US and government officials left the left-behind parents like us with a feeling of abandonment and helplessness leaving a huge scaron our heart.Although I was able to leave behind the sense of resentment, we need to know whom we can depend on and who are simply there for money or positions. Mr. Jazayeri was introduced to me, throughConsulate-General of Japan in Toronto, after the Hague motion went through the Canadian Central Authority.I called the consulate-general out of desperation after finding out the out-dated information on the lawyers in Toronto provided by the US government led me to the lawyers either out of reach or already retired. Mr. Jazayeri even let me help him as I had a bit of paralegal experience in the past so we could save time and money to have the case go smoothly.I have never met any lawyers from past career of any lawyer who would be so generous and understanding to his/her clients. Thanks to his tremendous work, we were able to have a solid result from TheHague court that my son’s home country is US and his legal matters can be settled in a court only 5 minutes drive from where I live. Now, my five-year-old sonlives with his mother in Ontario, which we agreed through a family court in California. But the big difference is that he is able to see his family, friends and community consistently as he has California as his home state.And most importantly, the decision can be made over his life until he reaches his legal age in California. Being a Japanese citizen, the fact that the jurisdiction moved back to where I live has a huge impact especially since I would not have been able to have much say without Canadian residency or Canadian citizenship. Now, my wish is to fulfill my responsibility in California and move to Canada where my son lives sometime in the future with a full residency status so his mother and father can watch over our son’s growth in this wonderful country. I’m deeply grateful for Mr. Jazayeri’s service and his patience to put up with me being such a desperate and frantic father at the time.I truly believe he is one truly responsible and respectable lawyer who deserves to be recognized by the local and international community.